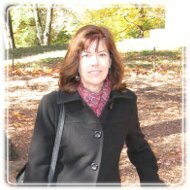 New York City Therapist: Joan Warren - Therapist 10016. Anger Management For Individuals, Couples And Families. Anger management needs. Multi-cultural couples. Session Fees: Individual session, 50 minutes $125.00 Couple session, 60 minutes $150.00 Sliding scale available as needed with attendance commitment. $25.00 discount for initial session. I bring a variety of therapeutic training, professional and life experience to the task of addressing your concerns and guiding you on a path toward positive change. I am devoted to offering compassion and insight in working with you to meet your needs while integrating proven and appropriate methods to increase personal understanding and improve relations. I work with individuals, couples in all stages of relationships, families with teens and provide anger management. I am a relationship expert and a trained Imago Relationship Therapist. In session, I create a safe and focused space for you to express yourself fully and be truly heard and respected. By bringing professional and personal experience and using practical, reliable techniques, I will meet the challenges you bring to session and provide ways for gaining more connection in relationships and satisfaction in life.